CONTRAST-INDUCED NEPHROPATHY (CIN): A RAPID OVERVIEW FOR RISK ASSESSMENT AND PREVENTION. You are at:Home»Embj»CONTRAST-INDUCED NEPHROPATHY (CIN): A RAPID OVERVIEW FOR RISK ASSESSMENT AND PREVENTION. In recent years, the number of contrastographic exams has increased considerably, compared to an increase in the complications related to this type of interventional approach. A number of specialists (interventional radiologists, cardiologists, vascular surgeons, cardiac surgeons, etc.) have to deal with complications related to the procedure or contrast medium (CM) used. With regard to the latter, contrast induced nephropathy (CIN) is commonly defined as an increase in serum creatinine (sCr) concentration of 0.5 mg / dL or 25% above baseline within 48 h of CM administration. 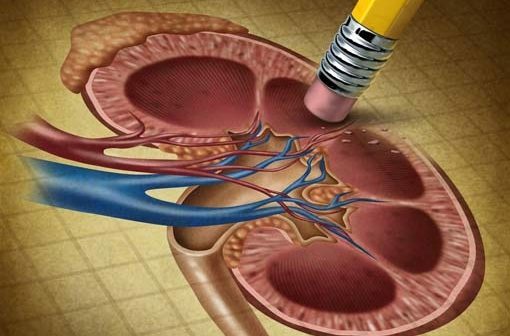 It is the third most common cause of hospital – acquired renal failure, with an incidence rate that varies from 1 to 25% depending on patient comorbidities. It carries with it a lifelong dialysis therapy risk of 0.5 – 2%. CIN is a condition that can affect anyone subjected to a contrastographic exam, although there are groups at increased risk. The purpose of this article is to describe and analyze the methods used for CIN management, and detail the risk factors associated, with particular emphasis on score systems created to categorise patients according to CIN risk after procedure. The aim is also to create an easy and quick tool to guide doctors presented with a patient facing an injection of CM for diagnostic or therapeutic purposes.